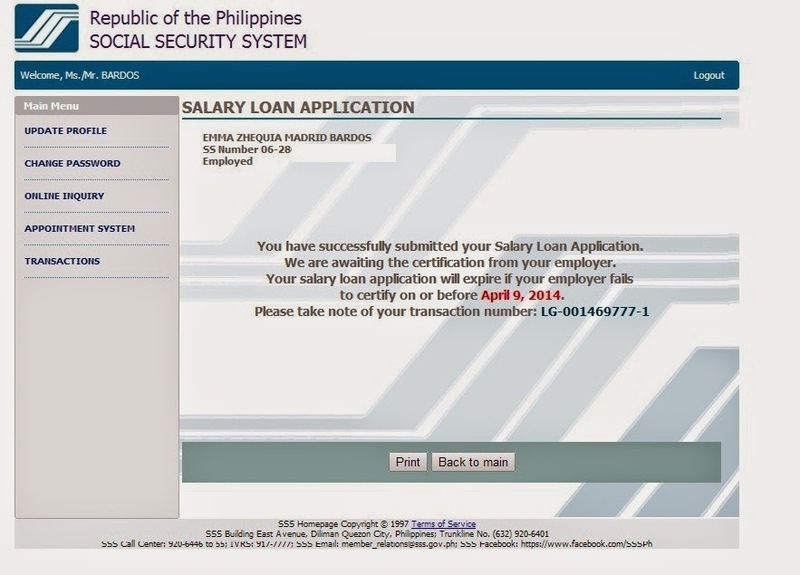 I promised to post another blog entry about my experience in filing for an Online SSS Loan. 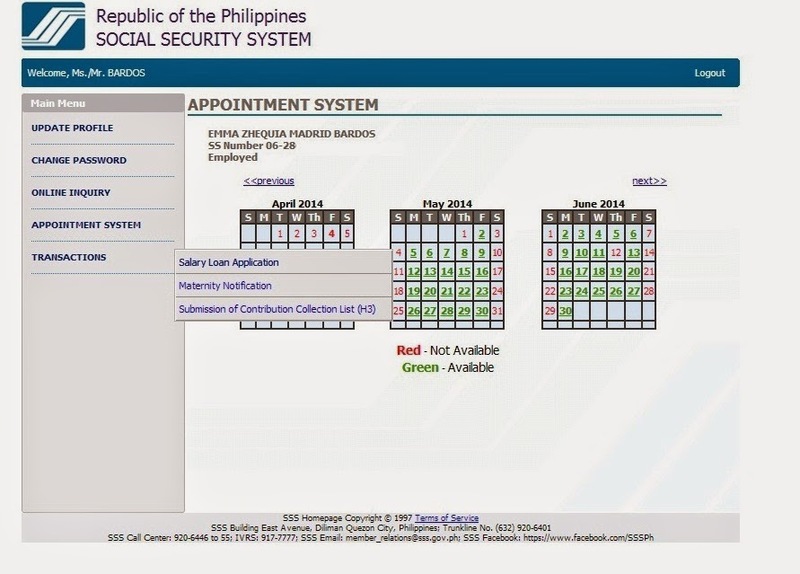 I posted this on my previous entry about SSS Online Appointment System. Using the same method and again thanking the seven gods that technology these days is such a savior, I filed for the loan in less than 10 minutes. You are required at least 36 months worth of contribution to be qualified for a loan. 1. 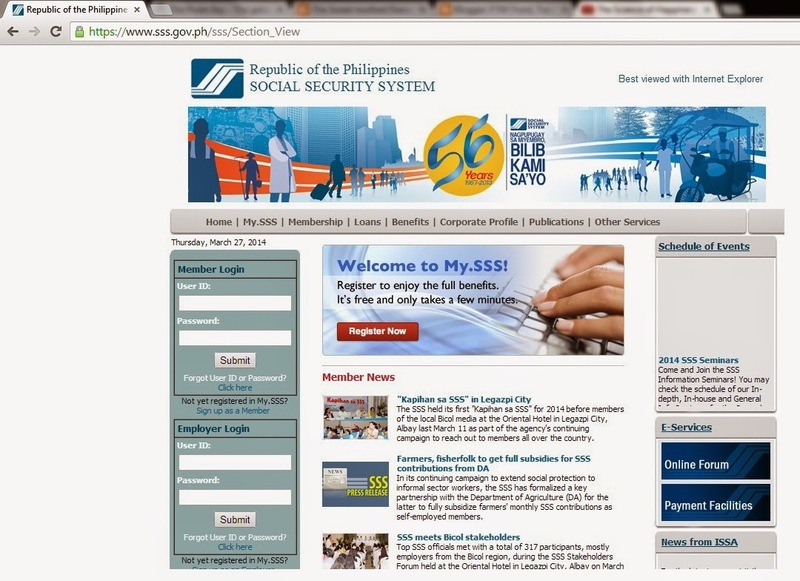 Login to your SSS online account at https://www.sss.gov.ph/. 2. Once on the Welcome Page, hit on Online Inquiry. That is the third option on the left navigation bar below Change Password. 3. 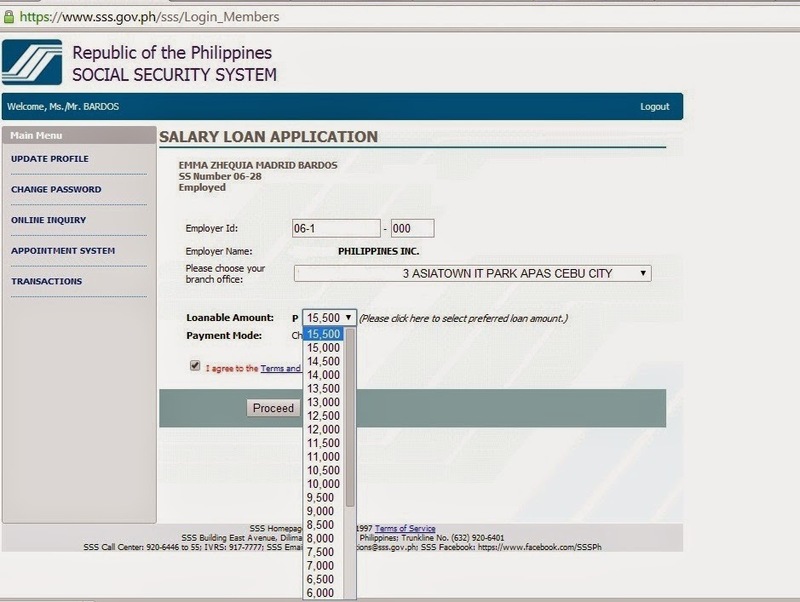 Click on the Salary Loan Application and it will direct you to the next page. 4. 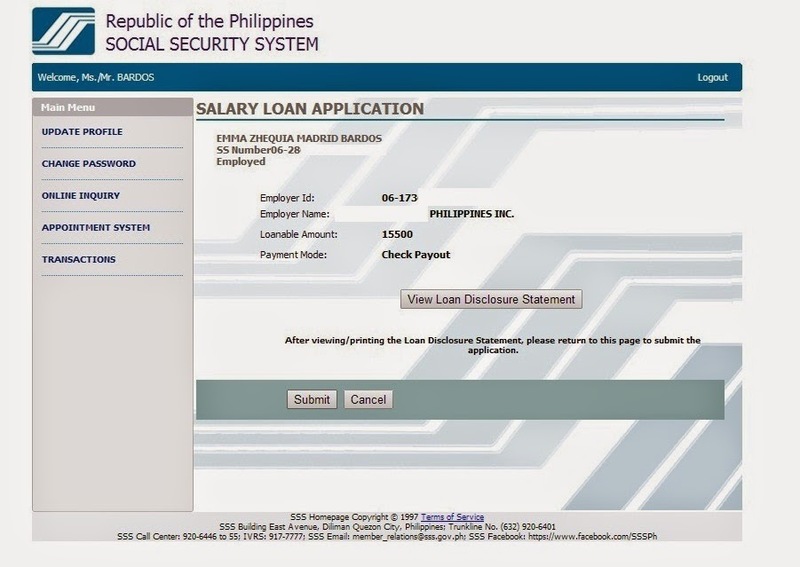 You will see your most recent employee and the drop down of your loanable amount. 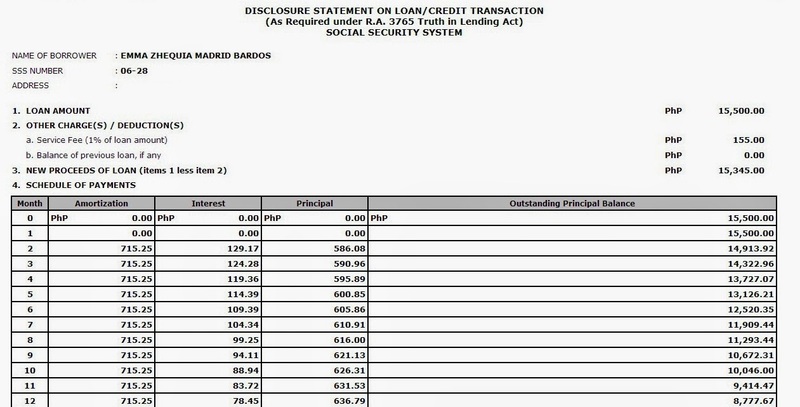 You have the option to select what amount to loan. 5. 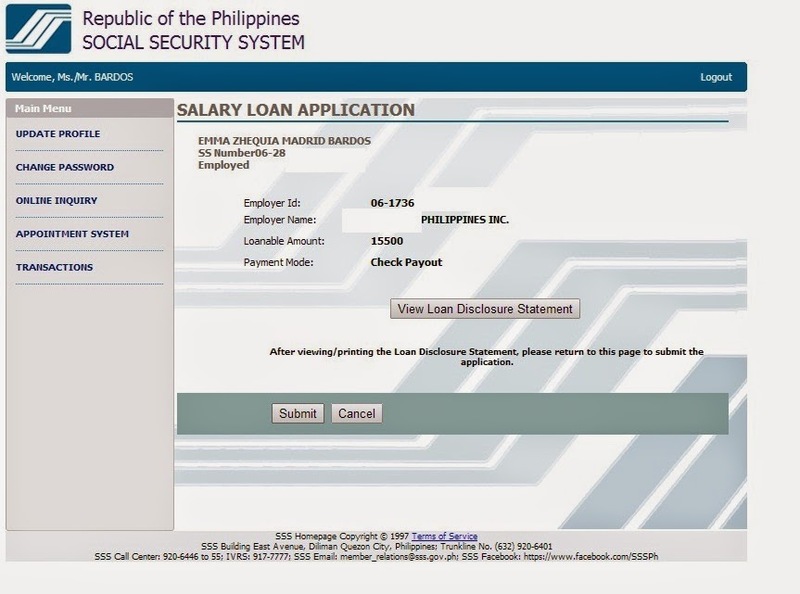 Once selected click on Proceed and you need to read the View Loan Disclosure Statement. Once read and understood then you can click on Submit. 6. 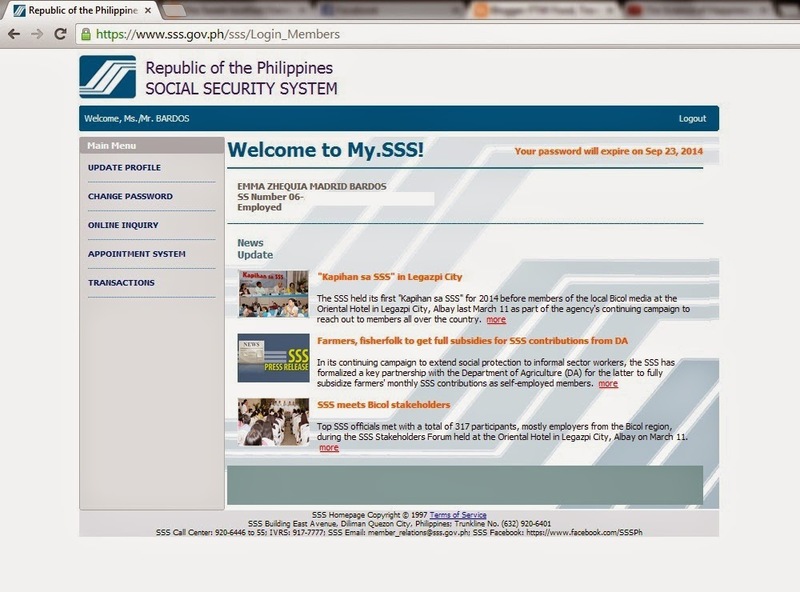 And voila, SSS will then forward a notification to our employer for approval. Once your Compensation and Benefits/Finance Department approves you are now entitled to loan. 7. Once done, you can now then finalize everything by clicking on Submit. Boom! It is that easy! It takes about a month to get the check from the Post Office. Tip: Get to know your postman and ask for his phone number. You can contact him directly if your check is ready. It takes about a month for the check to be sent to you. The postman sent me a message and I visited the Post Office to claim it. Tip: You can en cash your check at Philippine National Bank with no charge whatsoever. 8. Once you get your cash, you are then required to submit a piece of paper from the check to your Compensation and Benefits/Finance Office for salary deduction.